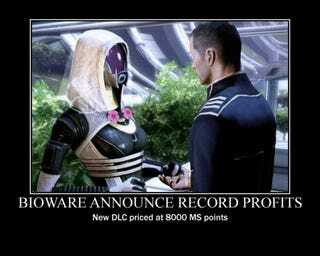 More Mass Effect to celebrate Mass Effect week! Woo! Also, do you know how hard it is to come up with a halfway decent image EVERY DAY? Srsly. Super hard. Anywhoo. How did I get roped into doing these every day? I just love you guys that much. See you again tomorrow!